The EUR/JPY cross remains on the offers amid broad yen strength, as risk-off remains in full swings, following reports of the North Korean missiles launch. 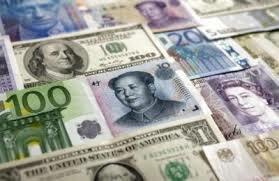 The EUR/JPY pair now drops -0.35% to trade at 120.76, hovering with a striking distance of 120.68 struck last hour. The cross remains heavy as weakness seen in both the EUR/USD and USD/JPY pair in response to risk-averse market condition, with investors looking to protect their capital. Also, resurgent US dollar demand across the board fuels renewed selling pressure behind EUR/USD, eventually collaborating to the downside in EUR/JPY. Looking ahead, the spot eyes the Eurozone retail PMI and Sentix investor confidence datato lift the sentiment around the EUR.